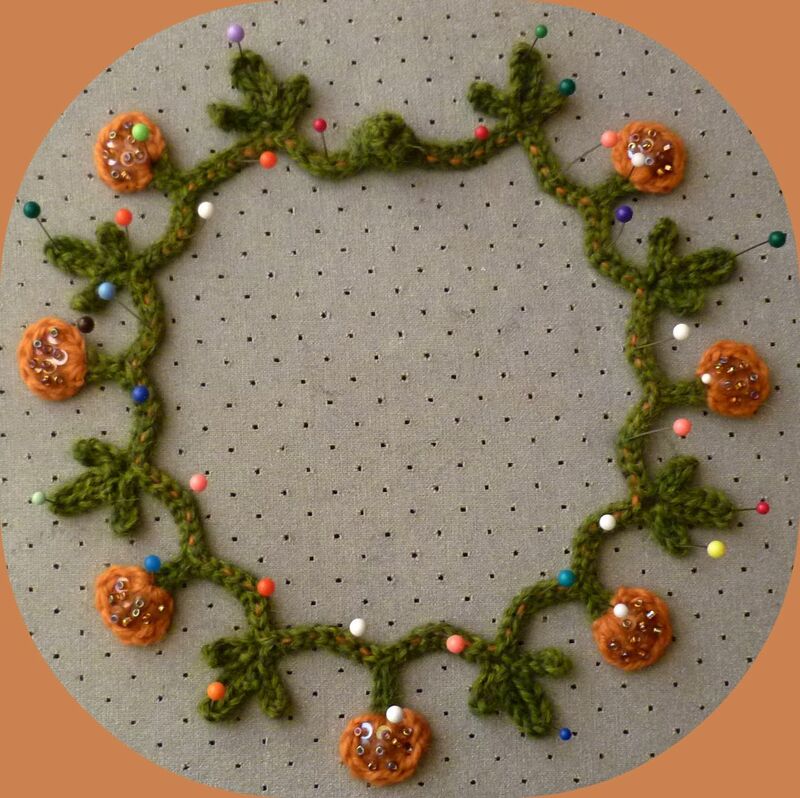 Several years ago I realized the importance of blocking a finished project. I crocheted a shawl made up of many motifs that were sewn together. When it was all finished, I was so disappointed. It looked nothing like the photo in the book I was using. I was thinking that I would never wear it. I put it away for a few days while I was trying to decide its fate. I went ahead and tried blocking it, hoping that it would open up the motifs and keep the tail ends from curling up. 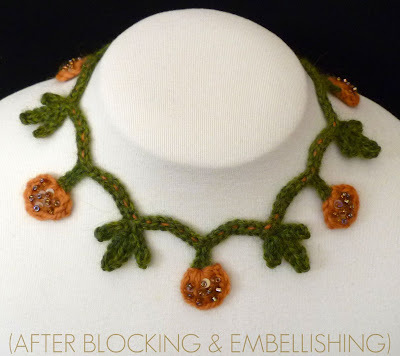 I was ecstatic when it was time to remove the pins and I saw that my objective had been achieved and, as an added bonus, the stitches had a more even texture and the shawl had a finished look. It was at that moment that I discovered the magic of blocking! Now I look forward to the blocking process as I know it will only make the project look betterl! I am always surprised when I talk to people about blocking and they don't believe it is worth the time. It helps the piece to lay exactly as you want it to and it can also stretch areas where your tension may have been tighter. 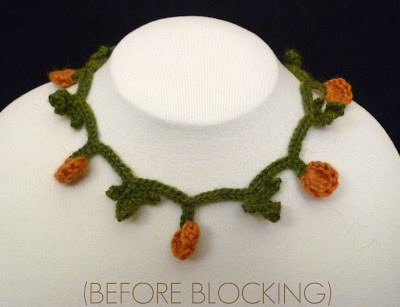 To show what blocking can do for a piece, I have taken before and after photos of my Blossom Necklace design. The difference in them is like night and day! I like to spritz or spray block my pieces on a padded ironing board. I prefer this gentle method over steam blocking, especially for jewelry as it is easy to damage a piece if the steam is too hot for the yarn. After weaving in all of the loose ends, I spray the piece with a little water, and then I pin it into the desired shape with rust-proof pins. Next, I spray it with a little more water to make sure I have wet all areas of the piece. Finally, I simply leave the piece to dry before removing the pins to see the transformation! I find that most of the yarn I work with is able to come in contact with water, but do check the care label before trying this method of blocking. So, if you have never tried blocking your work, please give it a try, you won't be sorry! Then I got back to the article. Thank you so much. I will use the ironing board for this very purpose in future.